Struggling to keep it afloat in the wake of a dismal financial performance in the last three quarters, Jet Airways is withdrawing its flight services on as many as seven Gulf routes from this month, a source said. Notably, Abu Dhabi-based Etihad Airways holds 24% stake in the domestic full service carrier. "Jet Airways has decided to withdraw its services to Doha from Kochi, Kozhikode and Thiruvananthapuram as well as to Abu Dhabi from Lucknow and Mangalore. Besides, the airline will also not operate on Mangalore-Dubai route. All these services are being taken out of operations from December 5," a source said. 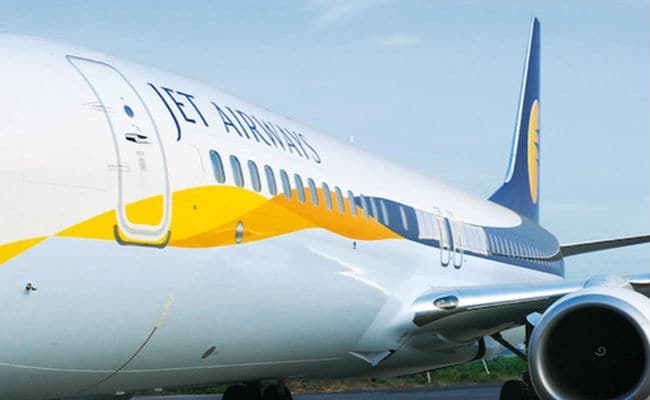 "Jet Airways has undertaken a comprehensive review of its network, whereby it will move capacity from uneconomical routes to more profitable ones, to more closely align the capacity offered with the demand characteristics of specific markets," Jet Airways said in a statement. "It is important to note that the scale of the airline's operations will remain unaffected," it added. Jet Airways posted a net loss of Rs 1,261 crore during the September quarter. This was the airline's third successive quarterly loss. Amid cash paucity, it has been defaulting on salary payments to 15 per cent of its work force, primarily senior management, pilots and engineers. I am very happy to hear this news. They were the worst airliner from India who don''t have the capability to fly internationally. Always always late. Rude staff. Unclean flight. Very bad service. I have several bad experience with this flight. 1) Don’t show up to passenger who traveling to economy class as a 3rd class behavior specialy your man cabin crew. 2) yes passenger are poor this people are working Gulf country and when he going home after 2 year they need some positive results. I have more couple of things to share but??? 1. People like direct flights to their cities and not connection flights. . Hence, routing all flights through Bombay will not work. People take connecting flights only when direct flights are not available. Jet airways must have concentrated on routes where there is no direct flight. When taking connecting flights, people take better carrier than jet airways. I felt that the jet airways aircrafts are old ones. 2. There is no direct flight from Kuwait to Calicut except Air India Express. People prefer private carrier. Hence, kuwiat- Calicut direct flight will be very good for jet airways.